The Prado Museum is one of the most important museums in the world, containing a collection of over 8000 works of the best Spanish and international artists .The museum was opened in the year 1819 with the idea to show the works of the Spanish crown during the story , and present the school of Spanish painting in the world. It is the museum with works more arts per square meter and the most visited, with over 2 million visitors per year. 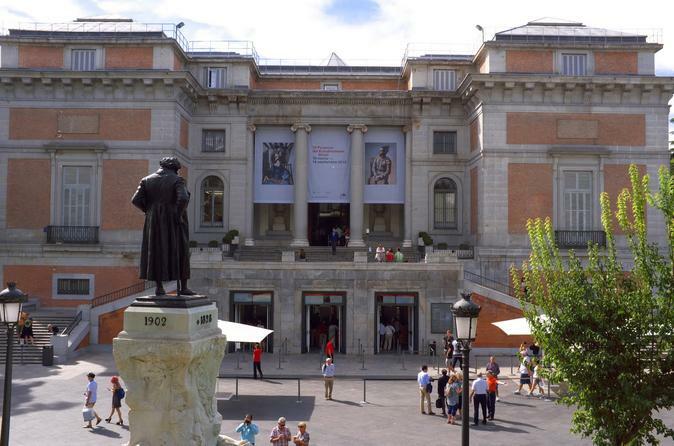 Embark on a 2-hour tour of the Prado museum. The tour focuses on a significant selection of the great names of European painting. Passing through the most important works of Spanish painting, signed by artists such as Goya, Velazquez and Sorolla. You will also discover the Dutch painters and their works full of colors, feelings and meanings, revealing the secrets hidden in the works. Raphael, Botticelli and Tiepolo are some Italian artists who will be shown on the visit. Works with own strength and history seem to take us in Italy of the great masters. Paintings with a wide range of topics such as religion, mythology, war, nobility and images of everyday life give a high diversity to the tour. You will also discover a wide variety of styles andselection of artists from different historical periods and places in the world from different time periods such as: Baroque, Renaissance and Impressionism. Guests are welcome to stay at the museum after the tour.